Happy Holidays? You are Cordially Invited? 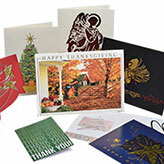 Whatever message you want to send, let us create the perfect card or invitation.